Amsterdam is known for its canals, its food, its Red Light District. And oh yeah, for the weed of course. But there’s one theme that really sticks out when you visit Amsterdam; it’s just a happy place. Locals are happy, tourists are happy, and there are plenty reasons why, but we can think of one main reason in particular. It’s abundance of coffee shops. The kind that mimics Friends in no other way that comfort and chill-ability, and if Friends was a show on Vice. In America coffee shops are a place to work, hang, even just sit, staring into space. This week, they’re also a place for scandal. In their world coffee shops aren’t just a place to open your laptop, or grab a latte. Although the lattes are delicious and always flowing. It’s a place to pop in the back, peruse the glass counters under which your many selections lay, and pick out some good stuff to smoke. Then proceed to your nearest comfy spot, and get to chilling. 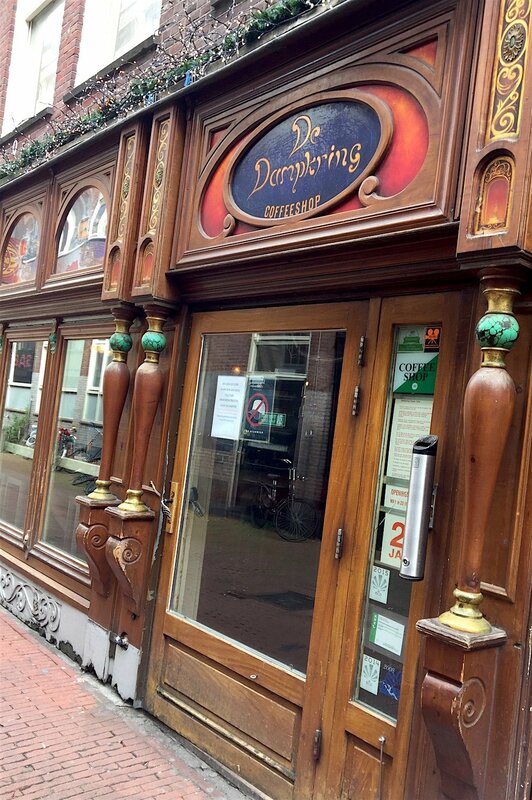 Although, much like here, in Amsterdam, there is no shortage of choices. They can be found everywhere. Like on any trip, the fun’s in the discovery. The next time you find yourself there, here are some of the absolute coolest Amsterdam coffee shops to put on your list. If that’s your sort of thing, of course. In some cases, even if it’s not, its worth a visit inside. Who knows, you may even want to stay. 1. Greenhouse. A local spot, and the perfect place for all day people watching on the Canal. 2. Dolphin. This isn’t just one of the coolest Amsterdam coffee shops, it’s also one of the prettiest. 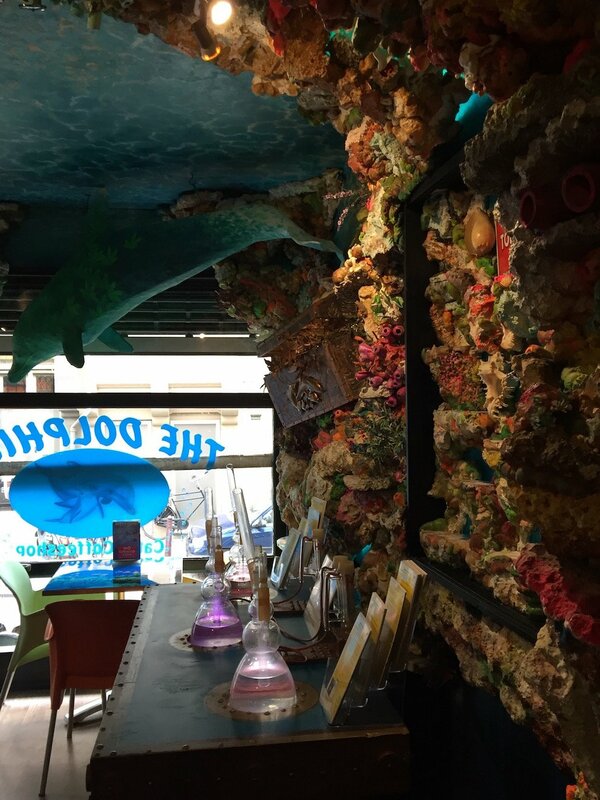 The intricate interiors feel like you’re inside of a fish tank and make it worthy of a planned visit. 3. Dampring. Only a five minute walk from Central Station, Dampring is a favorite stop for both commuters, local and tourist. It’s chill factor comes with more of a modern design edge. 4. Smokeys. 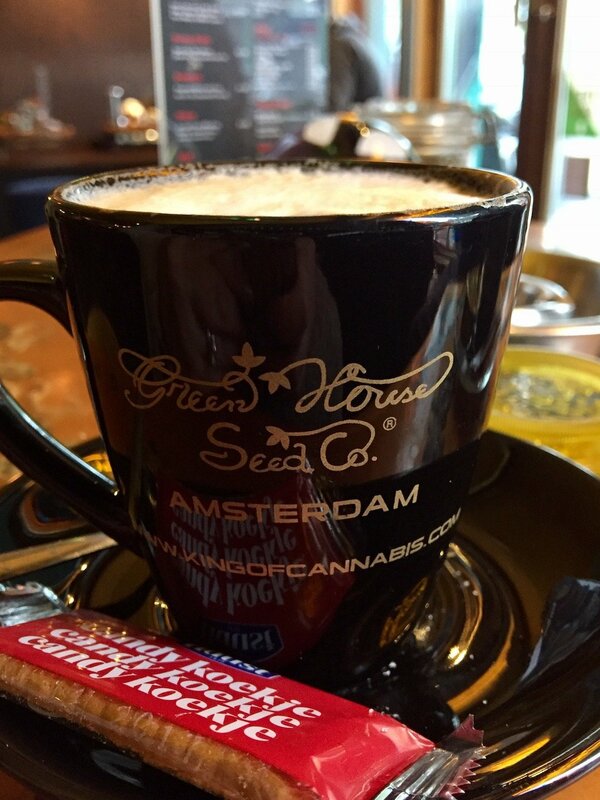 One of the coolest Amsterdam coffee shops, it’s also one of the few you can smoke cigarettes inside. Also a weird scene to walk into, considering smoking in bars in the U.S. feels like it was outlawed eons ago. 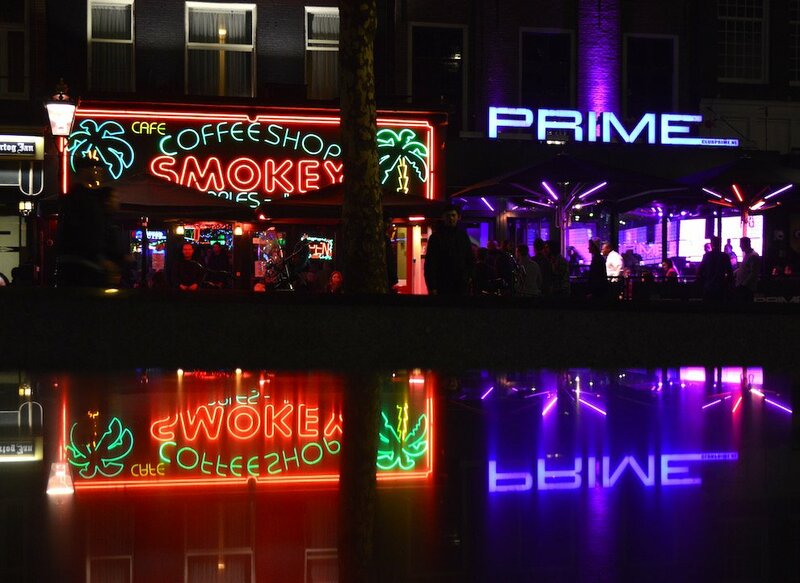 Smokeys is located on the strip of a cool area in Rembrandt Square. A Times Square type space that’s quiet and unassuming in the day, and comes alive at night. 5. Grey Area. This tiny Amsterdam coffee house has been around over twenty years. It boasts a super cool vibe, and seriously inspo-worthy walls.